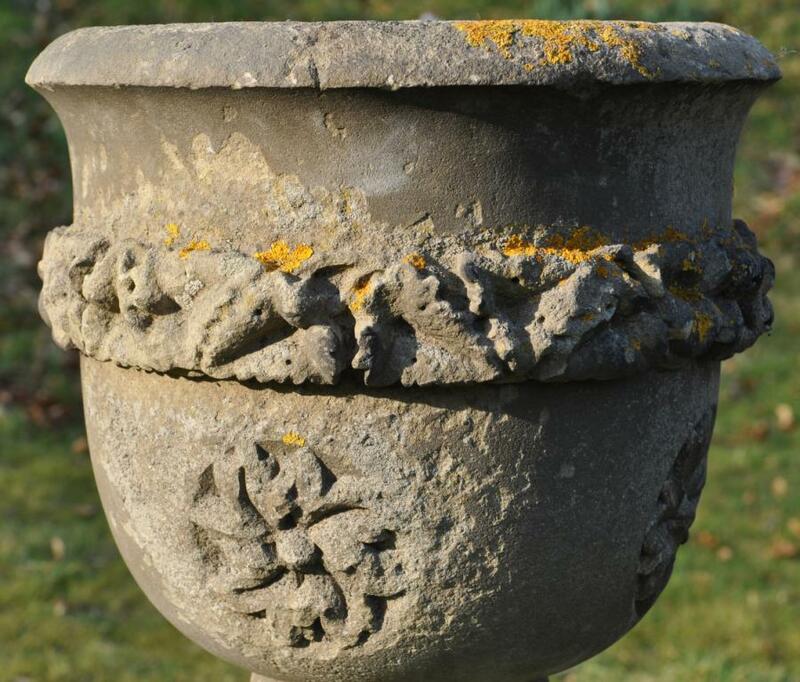 A 19th century antique carved stone urn font With a band of carved leaves and 4 floral roundels above a moulded circular stem on an octagonal and angled base. There is a pegged clean break. 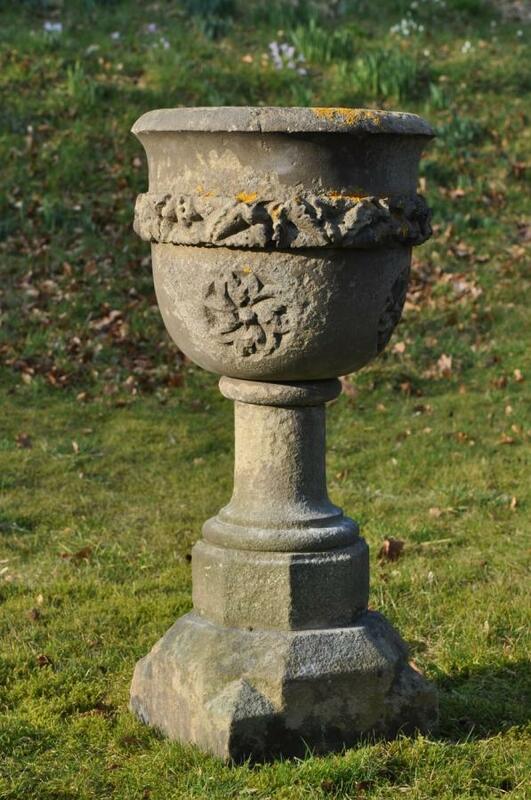 Dimensions in inches/cms27.5/70 high. 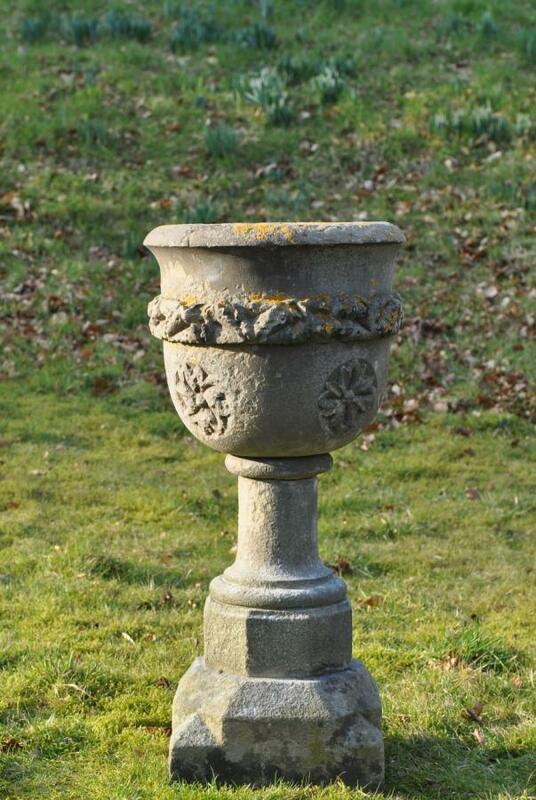 13.25/33.5 diameter.Base 10. 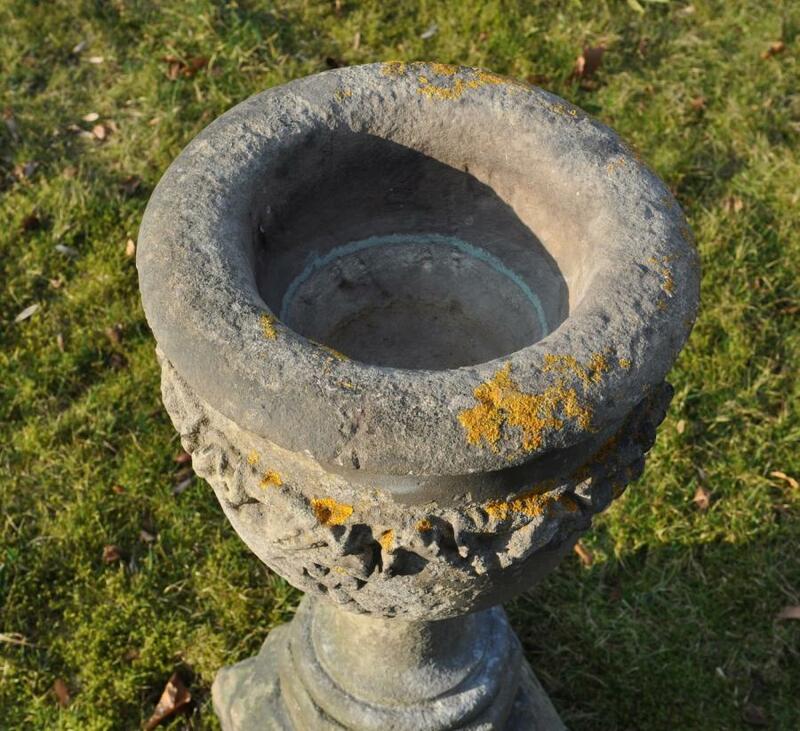 An approx early 19th century antique carved stone urn font 5/26. Please see blog ( via News tab on Haes website ) for larger/more pictures.